RALEIGH, N.C. — SUCCESS! 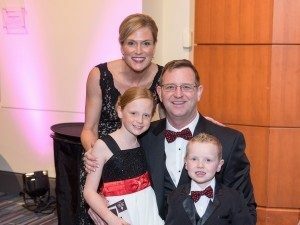 Thanks to the dedication, hard work, and leadership of SLG Principal, Kieran Shanahan, the 31st Annual Triangle Heart Ball campaign was able to raise nearly $1 million for the American Heart Association’s mission: a world free from cardio vascular disease. In addition to Kieran serving as Chairman of the Heart Ball, Shanahan Law Group also served as a top-tier “Legacy Sponsor” for the event. Shanahan began his term as the 2016 Chairman over a year ago, at the conclusion of the 2015 ball. 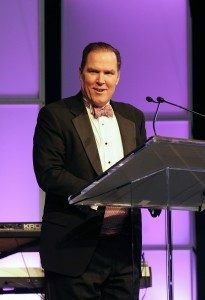 Since that time, he, along with a group of hand selected Triangle area leaders, have worked tirelessly to help raise funds and awareness for the AHA. Together, the group was responsible for a corporate sponsorship growth of nearly $200,000 over the previous year. Night of event giving was also strong (final numbers will be released in the coming weeks), with Heart Ball guests giving generously at all levels. During his welcoming remarks, Shanahan applauded the crowd of nearly 700 for their generosity but reminded them that there is still work to be done, as heart disease remains the #1 cause of death in the United States. He thanked the many caregivers, doctors, and researchers- countless of whom are based right here at the many Triangle hospitals and universities- who have dedicated their lives to serving those affected by cardiovascular disease. Following Kieran’s remarks, guests of honor, the Acton family, shared the story of their exceptional son, Jack, and his courage in the face of cardiovascular disease. You can learn more about Jack’s remarkable journey and his family’s message that “love is all around us” here. The corporate sponsorship dollars raised during the run up to the Ball, along with the funds raised throughout the evening’s events, including the “Open Your Heart” personal giving drive, Live Auction, and Silent Auction, will help continue to fund research that will help save countless lives like Jack’s. It is important to note, last year, the AHA raised approximately $2.5 million in the Triangle area alone, but received over $9.5 million in research funding between Duke, UNC, NC State, and ECU. A fantastic return on investment! Shanahan Law Group is proud of the legacy the 2016 Heart Ball will leave and the countless lives that will be forever changed by the work of Kieran and his team. Shanahan Law Group is a boutique law firm in Raleigh, North Carolina that offers a full range of business and litigation services. The firm’s practice areas include complex business litigation, business formation and exit strategies, banking and financial institutions, licensing and distribution, real estate and construction, secured transactions, property rights, employment law, white collar criminal defense, trust and estates, and government representation. The firm has offices in downtown Raleigh and North Raleigh. For more information, call (919) 856-9494 or visit https://shanahanlawgroup.com.